Welcome to St. Catharines Catering Services, the best catering company in Niagara! We have been providing outstanding catering for weddings, party catering, corporate event catering and more for over 10 years. Whether you are hosting a special event and need birthday party catering or holiday party catering we are ready to serve you. ​We believe good food brings people together and helps make your day a memorable one. We love catering for parties and can put together custom menus that suit your guests needs. 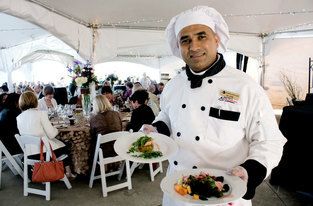 Ranging from traditional meals to vegetarian dishes, our St Catharines catering company is flexible and has you covered. 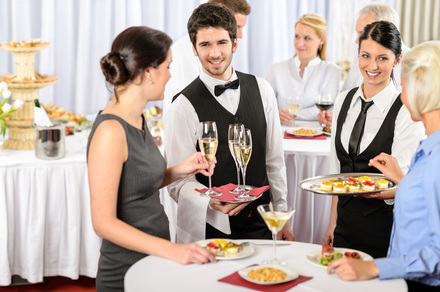 When you hire us to prepare a meal for your event, you can count on us to outperform the local competition. Whether its Niagara Gourmet, Classic Caterers or Chef Pauls Catering none of these catering companies compare to Niagara Caterers and what we bring to the table. 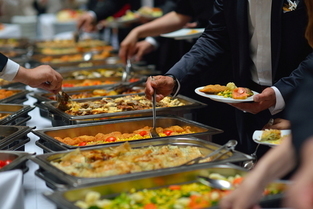 If you are looking for the best caterers in St Catharines and the surround area including Welland catering, Thorold catering and Niagara Falls catering, you have come to the right place. Our delicious dishes are sure to please even the toughest food critics. Food preparation is no joke, especially when you have a large number of guests to cook for. Our experts are trained professionals and are ready to flood your taste buds with delightful flavours. No matter what the size of your event, we can handle the scope of your project. 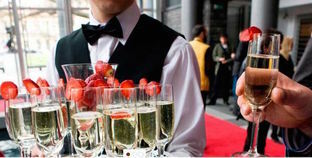 If you require assistance in choosing a local venue, our knowledgeable and experienced staff can help with all your party planning preparations. We have connections with several local Niagara venues and hotels that come highly recommended. 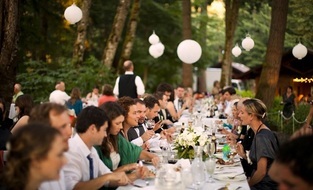 We specialize in wedding catering services and pay attention to every detail. Many have said this quality is what makes us the best wedding catering St Catharines ON has to offer. With our top notch chefs working behind the scenes to prepare each dish, your guests are sure to taste the difference. ​Your wedding day is important, hence why our wedding caterers make it their mission to serve you great value on your special day. We are also happy to provide various serving options, depending on the mood you want to establish. We can serve a buffet style dinner or go with a more traditional multiple course meal. Simply let us know what your desired preferences are, and we can serve your needs accordingly. Again, we are happy to cater to any food allergies or dietary restrictions as necessary. We strive to provide superior catering services with our elequant presentation, custom menu options and affordable prices. There is really no reason to look any further, give us the chance to wow you and your guests. Unlike other St Catharines caterers, we always go the extra mile to ensure your special occasion is perfect. With our expert chefs and professional staff, you’ll be blown away with our services. From our mouthwatering desserts to delicious appetizers, and unique entrees, we make sure to please our clients like no other local catering company in Niagara. So what are you waiting for? Complete the form on this page for a free and instant quote or feel free to give us a call at 289-273-2266 and one of our expert caterers will be happy to assist you. Contact us today for a free quote on your next event, we promise you will be happy you did!